Bentley Farm Gazette: Plowing Days! This past weekend, the college crew (plus Jacob, now a prospective college student!) ventured up Cayuga Lake to Interlaken for the biannual Plowing Day. It was a perfect fall day with the sun shining and a crispness in the air. 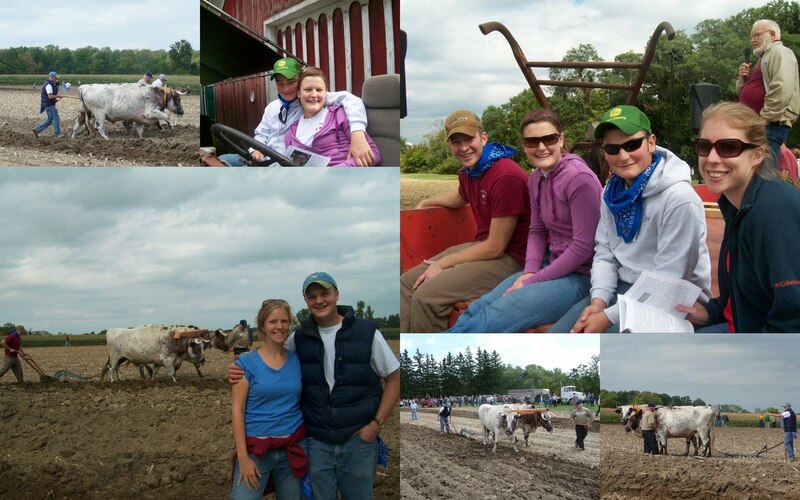 Among the many highlights of the day, we thoroughly enjoyed that two teams of oxen came for the event. Isaac was especially happy for the opportunity to drive and plow with a team of oxen for the first time in six years.